The temperatures are finally starting to get a bit warmer and we all know what that means…more time in your boat on the water! Those first trips with your boat into the water are always some of the most fun and exhilarating of the season. If your fiberglass boat is in need of repair before the season gets started, there is still time. 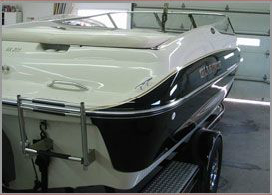 Anchor Marine Repair is one of the leading Minnesota fiberglass boat repair specialists in the area and can complete structural repair as well as upholstery replacement. No matter what your fiberglass boat repair needs, the team at Anchor Marine Repair can help. 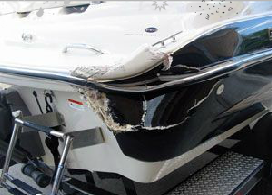 Was your boat damaged during a storm over the winter? Or, maybe it was involved in an accident at the end of last season. Whether it is a small cosmetic job or a massive structural repair, our team will communicate clearly about what is needed to fix your boat and what it will cost you. Anchor Marine Repair understands how important your boat is to you and understands that you want to get your boat back on the water as soon as possible. Our repair technicians are experienced and will complete your boat repair in our state of the art facility quickly, affordably so that you can get your boat back where it belongs, on the water! Anchor Marine Repair located very close to Lake Minnetonka, MN and boasts over 10,000 square feet of optimal working space. Our state of the art facility is large enough to accommodate boats up to 38’ in length. In addition, our skilled technicians use only the best and most current tools, equipment and repair techniques. Each of our technicians has more than a decade of experience working on boat repair or refinishing, making Anchor Marine Repair #1 in Minnesota boat repair. Estimates and consultations are always free. Call 1-763-972-3540 to schedule a time for an appointment. Even better, we even offer pick-up from your dock, home or marina within 250 miles of the Minneapolis/ St. Paul area. So, act now, so that you can make sure that your boat is ready to go this spring!